Breaking News: Fast rising comedian CD John is dead. Less than a month to the first anniversary of the tragic death of rapper Dagrin, another very bright and promising star has passed on, in very shocking circumstances. 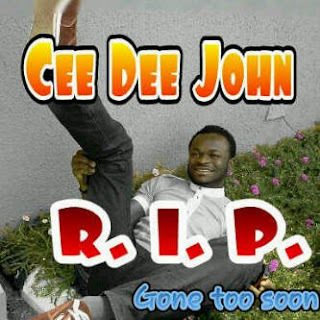 Multiple sources are confirming to us, that fan-favourite CD John, who emerged last year as one of the most promising acts in Nigeria’s stand-up comedy industry, is dead. 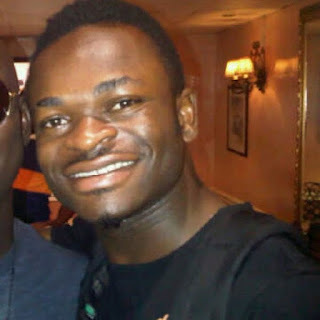 The young cracker, who became a regular performer at almost every gig/concert since late 2010 when major promoters and critics first noticed him, was on his way back from Industry Nite when he crashed his car and ended up at St Nicholas Hospital, in Lagos Island. ‘He was the MC at Harrysong’s album listening party which held at Tribeca’, a source tells us. Yesterday’s Industry Nite was dedicated to Questionmark act Harrysong who is promoting his new album. ‘He was driving back to the mainland, heading to his home at Jakande estate, Isolo when the accident happened’. ‘Yes he was the host at our event yesterday’ Industry Nite’s Matthew Ohio tells NET. ‘He was invited by Questionmark and I did not even know him prior to that. It’s just so sad if it’s true’. We cannot for now confirm the exact location the crash happened. But reliable sources say he was driving a Black Gulf 3. ‘He was rushed to St Nicholas where he gave up the ghost at around 7am’. Colleagues Gbenga Adeyinka, Teju Babyface, Tee A, Basketmouth, Ali Baba and a certain Tee Gee are confirming that they are aware of the accident, and reports of his death. However, no one has seen a doctor’s statement or his corpse as at press time. NET reporters are on standby at the hospital, and at his home, and we will bring you details as they unfold. ‘We’re all heading there now. Everyone is heading to the hospital where we hope we’ll meet some good news’ one of the acts told us. The late comedian, born John Chijioke, was a truly gifted singer and comedian who tried his hands first on music (as far back as 2006) before settling for stand-up comedy. ‘He used to sing but when I found out he was funny, I pushed him to join me do comedy. He had a breakthrough before me. And now that I want to be proud of him, I suddenly lost him’ his friend Tee Gee says. ‘He made me laugh at Tribeca last night, now he’s dead. Heartbreaking.’ a fan wrote on her BBM status, early this morning. CD John will mostly be remembered for his funny Christian choruses – a unique style where hemesses around with the lyrics of popular songs; presenting his own account of how different Nigerian tribes would deliver the lyrics. With a superb voice, growing repertoire and audience control; he was set to become a big player in the competitive stand-up comedy scene. Until death put a stop to all that promise.